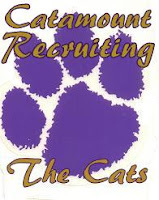 The information listed below on potential WCU recruits is provided for informational purposes only for the target audience of this site. It has been gathered from many recruiting sites (Rivals, 247, verbal commits, NC Preps, etc.) and consolidated here. Notice - The NCAA prohibits WCU boosters from contacting potential WCU recruits to encourage them to attend Western Carolina. To do so is a recruiting violation. This prohibition includes all manner of electronic communication. Please do not contact these individuals. Read the information provided at the end of this article for more information on this subject. PG Jacques Glover - Knoxville, TN - Bearden HS - 6'11"
There's lots of misinformation out there about who the NCAA considers a "booster" (officially known as a representative of athletics interest). Why is this important? The NCAA prohibits boosters from contacting recruits, and this includes all manner of electronic communication. To do so, is a recruiting violation. 1. A WCU season ticket holder is considered a booster. 2. Anyone who contacts a recruit to encourage that person to attend a particular university (i.e. Western Carolina) instantly becomes a booster of the university. 3. Once a person becomes a booster, they remain a booster forever. The bottom line is that while fans are not by definition considered to be boosters, they turn into a booster the moment they contact a recruit by trying to influence the recruit to attend that school. WCU Boosters participating on a message board are not permitted to write, call, instant message, text, chat with, or e-mail a WCU prospect. Some think that it's okay to contact a prospect once they sign a National Letter of Intent. However, that signing does not change the fact he or she is still a prospect and all prohibitions against booster contact continue to apply until the prospect in enrolled as a student at Western Carolina.. Some people mistakenly think that because a person is not a graduate of the university (WCU) or a season ticket holder, it is okay for them to contact a prospect. However, part of the NCAA's definition of a booster includes anyone who contacts a recruit on behalf of the institution. Therefore, as soon as someone on a message board e-mails or sends a message out to a recruit, they automatically become a booster and are subject to the NCAA rules prohibiting such contact. Boosters are not permitted to use social networking websites such as Facebook, Twitter, and MySpace to contact or otherwise attempt to correspond with prospects. This includes, but is not limited to using the inbox/e-mail feature, instant messaging, or direct messaging. Bottom Line - Please don't make inappropriate contacts with "prospects" you find listed on this forum (or any other prospect, listed here or not).